Ink and Lace with Sheryl Cauble: Fresh Brewed Designs Blog Hop and Candy for my followers! 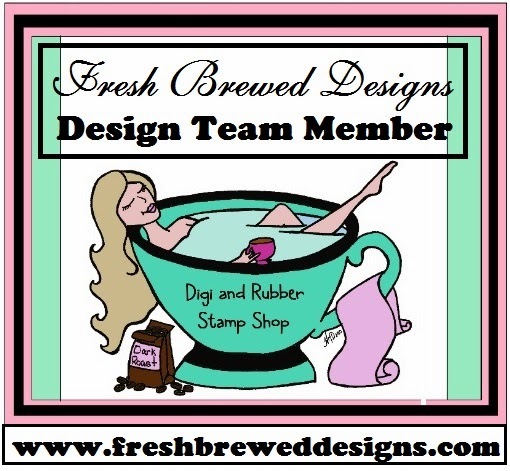 Fresh Brewed Designs Blog Hop and Candy for my followers! on this super special deal! to go along with her stamps! a tin full of buttons from etsy! perfect project to use it! to receive 10% off your order! Well, I am off to pick up and clean the house! this afternoon for a cookout! brought to us by our children! Thank you to all of my lovely followers! Don't forget about our hop and my blog candy! What a beautiful creation! Love the lace, the pearls, and the sentiment with that stamped image! :) Happy Father's day to your hubby and Happy Birthday to you! I hope you have a wonderful day with your family! Sheryl, darling this is beautiful! Happy Birthday to you.and Happy Father's Day to those who celebrate today! wow! what a beautiful, amazing package topper! just gorgeous! GORGEOUS! have a wonderful father's day, BIRTHDAY celebration! hugs! This is a really cute project. The colors are perfect together! Wonderful tag. Super colors and love that lace. Like the soft pastel colors. Especially like the Butterfly. Sheryl, so glad to meet you! I love your colors and beautiful design of this tag. Thank you for your kind words of encouragement on my blog and I look forward to following yours as well. So glad that I am joining in on this blog hop. It has been so much fun seeing all the gorgeous cards. Ahhh another June birthday girl. Happy Birthday!!! Mine's the 29th. :-) Hope you had a wonderful time with your family. Your little tag is precious. I love that meshy ribbon. I cannot find any of that locally. A friend sent me some but I'm hoarding it. LOL Lovely project! Hugs! I have just 3 words to say....pretty pretty pretty!